If you only ever read one book relating to finance and life make sure it's this one. 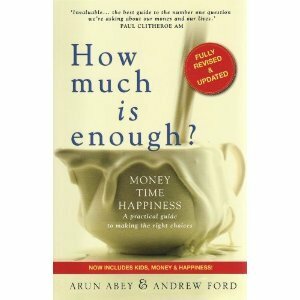 How Much is Enough is simple, informative and focuses on what’s really important about money. Most of us have probably felt at some time that money has the power to make us happy. That’s true to certain extent but is more better? Abey and Ford argue the case that whilst there is a level to which money brings significant improvements to our lives, increases in money above that level don’t bring the same proportionate increases in happines. This is because all too often the money is not being used in a way which is consistent with the things that truely make us happy. This book is not a self help book. It acknowledges that we are all unique and want different things from life so it doesn’t make any prescription for being happy. What it does is provides a thought provoking but gentle ‘prod’ in our ribs to say its ‘up to you’. By bringing together extensive research and widely accepted financial principles, ‘How Much is Enough’ shows that if money is used wisely, the results can literally be life changing.